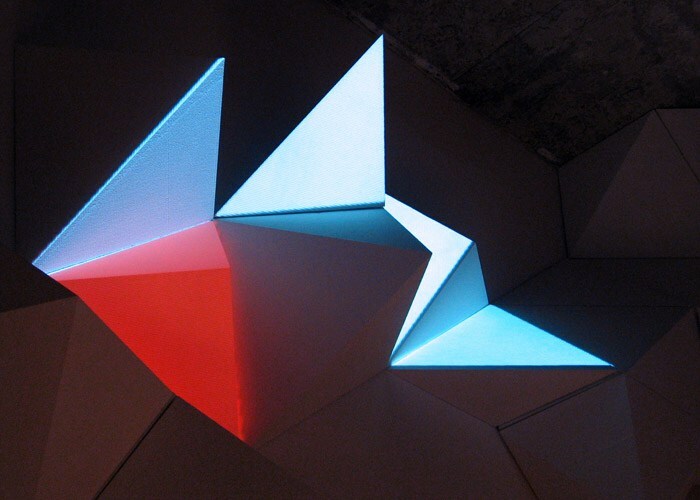 After a first intervention at visomat’s former art space « M12 » in Berlin in 2006 and several projection on paper structures and pyramidal compositions, Lemercier presents his first autonomous mapping project at « ClubMaria ». 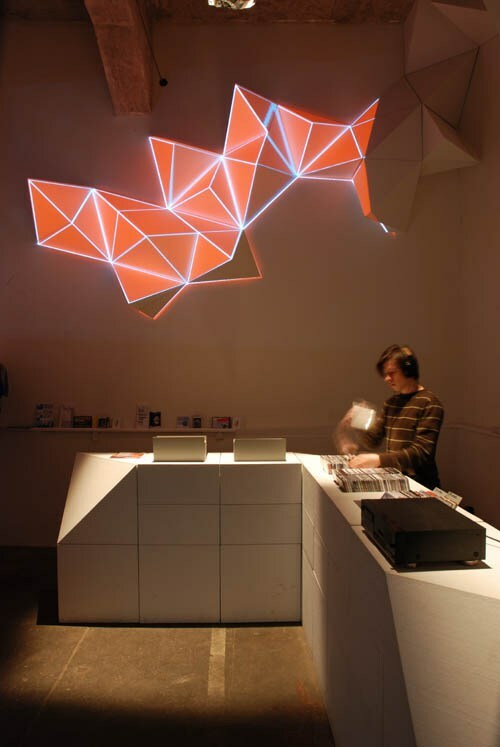 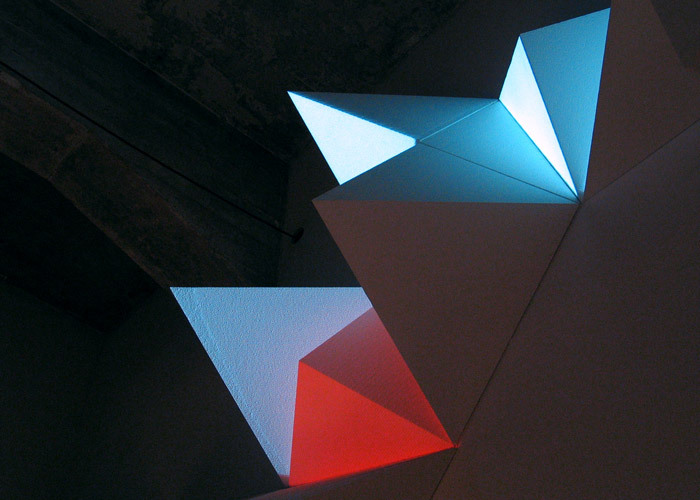 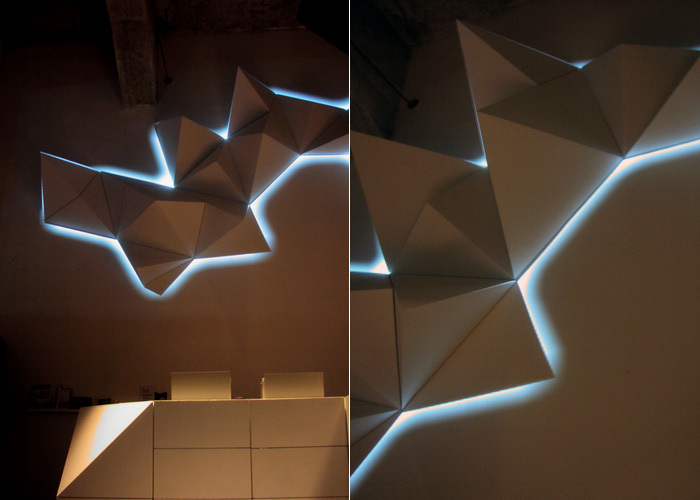 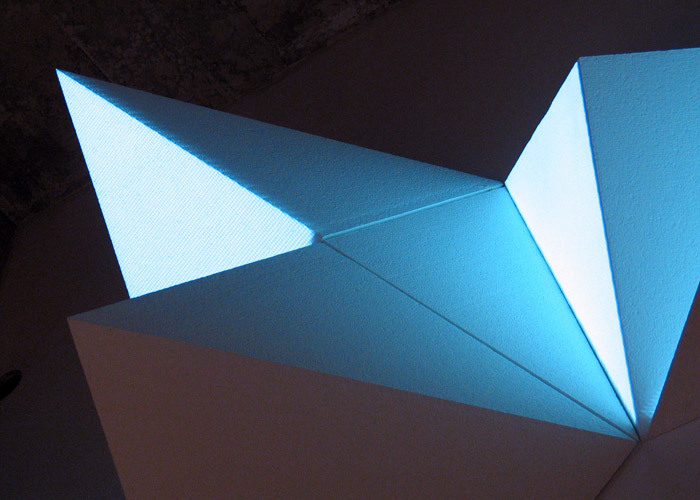 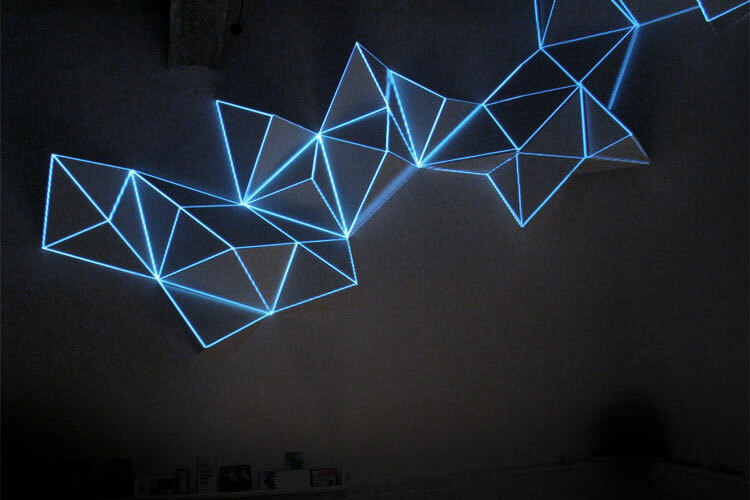 The polygonal styrofoam shapes slowly light up, and become a contemplative light sculpture, glowing facets appear to emit light and line patterns redefine the space. 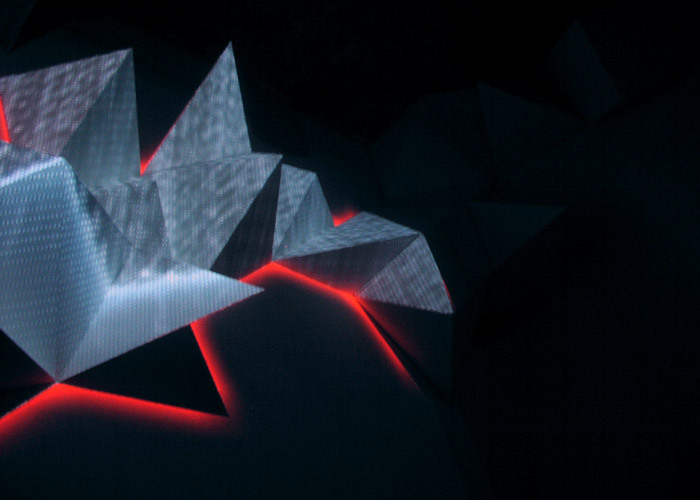 A daily live performance is proposed, inspired by Berlin music producer Sleeparchive’s deep sound textures. 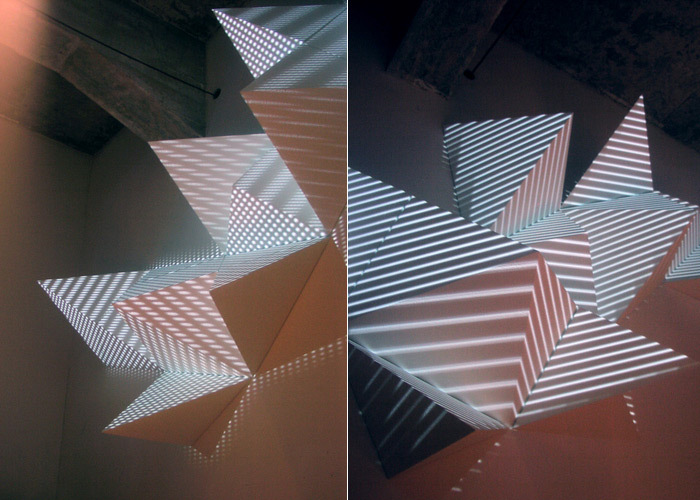 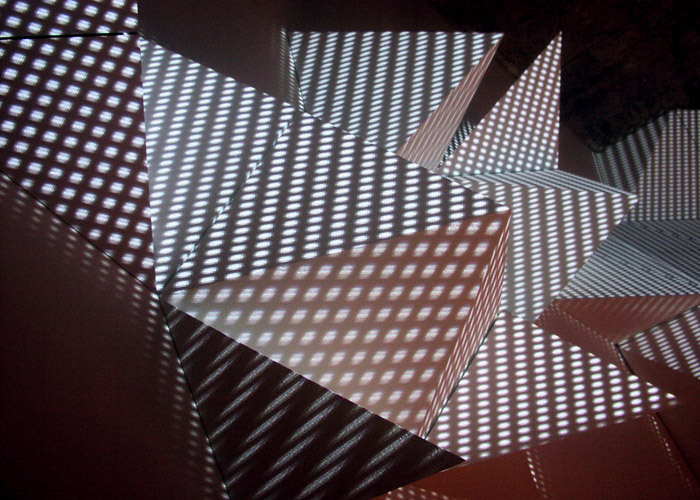 Projections: concept and visuals by Joanie Lemercier. 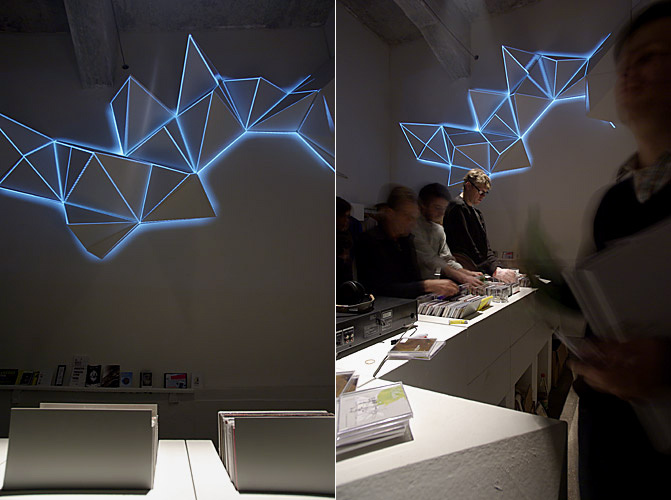 Structure: “Halbzeug” by Visomat Inc.
Photo credits: Joanie Lemercier, Götz Holborn.